In this episode of Vanguard Radio, J. Richard Jones joins the show as guest host. 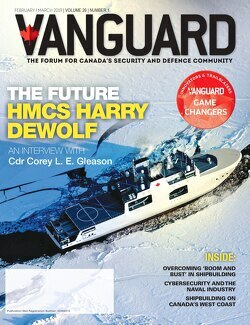 He discusses Towed Reelable Active Passive Sonar, (TRAPS) a new program for reservists and Canada’s role in the Iraq mission. All this and more, in this episode of Vanguard Radio.